Screaming children, camping trips and torrents of rain. It must be a Bank Holiday weekend. Yet here is where the British spirit kicks in. Celebrating 60 years of Queen Elizabeth II's reign, jubilee fever is spreading across the nation. Yet perhaps take a moment to consider. What was the world like 60 years ago? 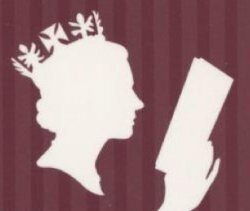 What books, if I may so bold, was the Queen herself settling down to read as she was preparing to assume her responsibilities? Yet perhaps it is one particular piece of non-fiction work that has seen good our monarch thus far. Indeed, maybe, just maybe, the Queen has tucked in her handbag her own copy of Peale's The Power of Positive Thinking. On this day...The charismatic author and poet Vita Sackville-West died in 1962 at the age of 70. Born into an aristocratic family, Vita seemingly fulfilled parental expectations through her marriage to career politician Harld George Nicholson. Yet this perfectly ordinary facade was somewhat thrust away by an altogether more exotic lifestyle. Although she and her husband enjoyed a stated closeness, it was understood to be an open marraige, and one which Vita strayed from through numerous partners, including, most famously, the novelist and pillar of modernism Virginia Woolf. Indeed, it was as a result of this affair that Woolf wrote Orlando, described by Sackville-West's son as 'the longest and most charming love-letter in literature'. However, it should not be assumed that Sackville-West's only contributionto literature was a liason with one of its most profound assets. 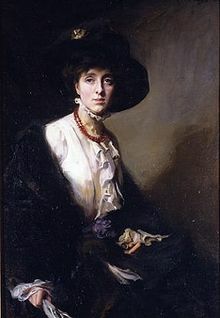 The author of The Edwardians, (a critique of aristocratic society) and All Passions Spent, Sackville-West also became the only writer to ever win the Hawthornden Prize twice for her poetry and wrote biographies of both Joan of Arc and Aphra Behn. These achievements were crowned in 1947 as she was made a Companion of Honour for her services to literature.